How do I create a new scheduled report in WYSIWYG Reports? 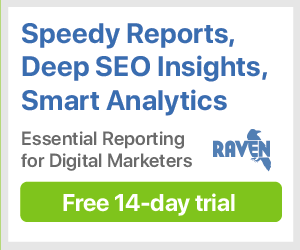 In addition to One Time reports, which can be updated at your leisure, Raven's WYSIWYG Reports tool can automate your reporting process with scheduled reports. Scheduled reports are essentially like templates: you build the report, set the reporting frequency, choose a date range (or let the report use each section's pre-set ranges), and let it go. Each day, week, month, or quarter, Raven will automatically create a new One Time report, based on the widgets and settings you've chosen. We'll even email it automatically, in HTML or PDF form, to your clients, bosses, or anyone else who you need to report to. Building a scheduled report is easy! Just follow these steps and you'll be on your way to saving time on your recurring reports. Before you do anything, you'll need to create your report. To do this, navigate to Reports > WYSIWYG Reports and click the New Report button. This will create a blank slate for you to work with. Follow the steps in the linked guide to put your report together. Keep in mind that with scheduled reports, you do not need to publish the report. Just make sure that your widgets and sections are on point. Report Title: Set the title for your report, which will be visible in your WYSIWYG Reports history. Report Type: Switch this to Scheduled to make this report publish automatically on a timeline. Day of Week: Which day of the week do you want your report to run on? Day of Month: Which day of the month do you want your report to run on? First Month of Year: This sets what Raven considers its quarters. Picking January will result in reports in January, April, July, and October. Picking February will shift that by one month (February, May, August, November), and so on. Last Month: Data from the month prior to when this report is run. If you've set the report to run on August 1, it will report on July 1 to 31. This Month: Data from the current month. If you've set the report to run on August 30, it will report on August 1 to 30. Custom Range (Days): Report on the previous number of days, as determined by you. Custom Range (Months): Report on the previous number of months, as determined by you. Fixed Start Date: Always start from a particular start date and end on the day the report was run. Custom Date Range: Always report on a fixed date range. This will not update automatically. Unset: This isn't a listed option, but extra flexibility in reporting. Uncheck the "Keep all section dates set to this date range during scheduling" checkbox and WYSIWYG Reports will use each section's set date range instead of overwriting it. Template Settings: If you would like to make the contents of this report importable, select one of the options here. Turning a report into a template allows you to import all of the widgets (and settings from the widgets) into another report. Date Format: Pick from three date formats: mm/dd/yyyy, dd/mm/yyyy or yyyy-mm-dd. Want to automatically deliver your reports to yourself, your clients, or anyone else once your scheduled report has been published? Click the Scheduled Email Settings tab in Report Settings to add email delivery to your scheduling. Before you do anything, select Yes in the Configure Email Settings setting. To: Who you want to send this report to, separating multiple emails with commas. There is a 250 character limit on this field. From: The email that you'd like this email to be sent from. BCC: If desired, you can Blind Carbon Copy email addresses on the report. Those addresses will receive one email for each recipient in the To: field. This is best used in conjunction with project management software like Basecamp. Message: A custom message to be included in the body of the email. Select Report Type: You can choose from three types of reports: HTML Link, PDF Link, or directly attaching a PDF to the report email. Click the Submit button to save your Email Settings. How do I create a new One Time report in WYSIWYG Reports? How do I make my WYSIWYG reports into importable templates? How do I export my WYSIWYG report as a PDF? What's the difference between a Dashboard and a WYSIWYG Report? Email us at help@raventools.com and we'll get back to you as soon as we can. Our office hours are Monday through Friday, 8 a.m. to 6 p.m. CT (GMT-6).